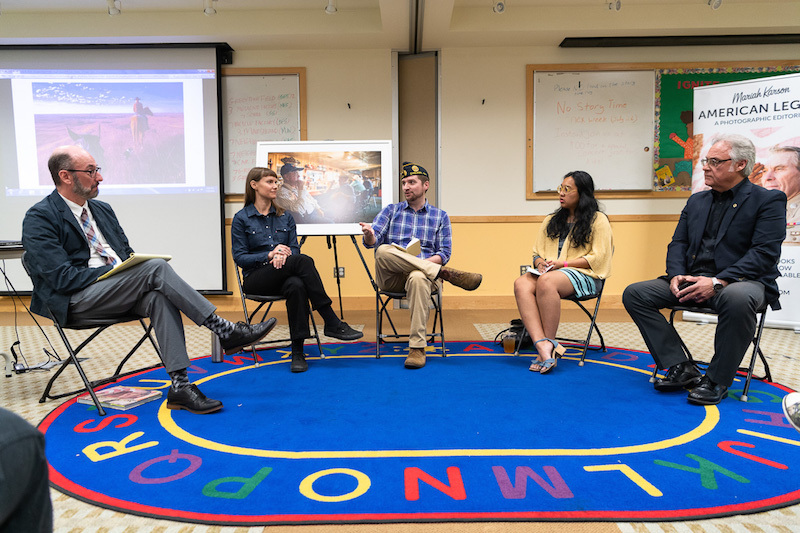 A few photos from a great event at the Austin -Irving Branch of the Public Library hosted by Tony Powers, the branch manager for CPL Austin-Irving branch and Commander of his Sons of the American Legion Squadron. 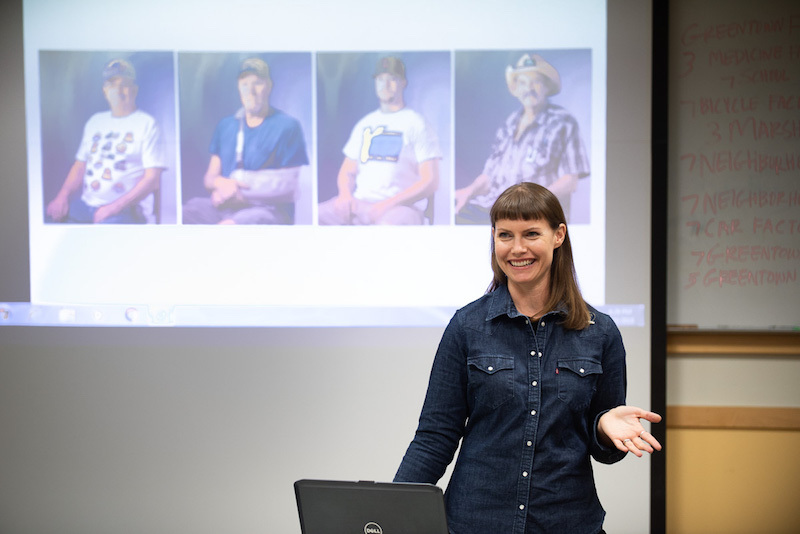 Michael Elsey had the honor of facilitating a discussion sparked by Mariah Karson’s wonderful photo essay American Legion. 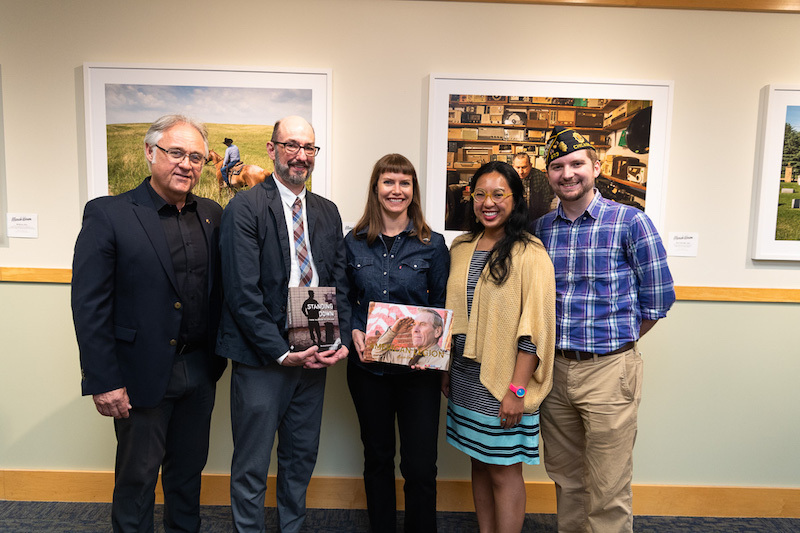 The panel consisted of Mariah Karson, Dale Tippett, the Commander of Billy Caldwell Post806 and on the Board of Directors for the Portage Park Chamber of Commerce, Brent Webb, the Commander of Tattler Post 973 and the development associate for the National Veterans Art Museum, and Moki Tantoco, Education and Programs Manager, National Veterans’ Art Museum. 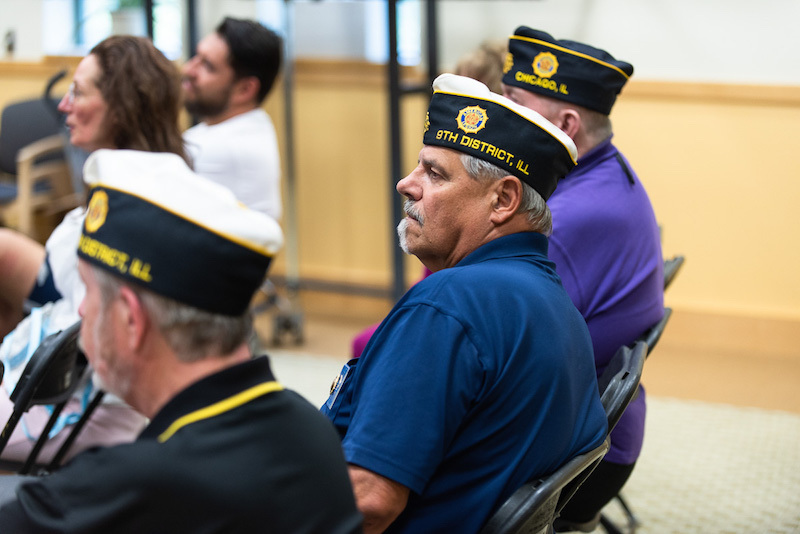 The discussion was lively and well attended by American Legionnaires and members of the community.